William Schickel (1850-1907) designed the church. He was a German–born American architect and founder of the New York architectural firm of Schickel & Ditmars. He emigrated to the U.S. at the age of 20. In 1885 he formed William Schickel & Company in association with Isaac Ditmars (1850-1934). Ditmars continued the firm following Schickel’s death. 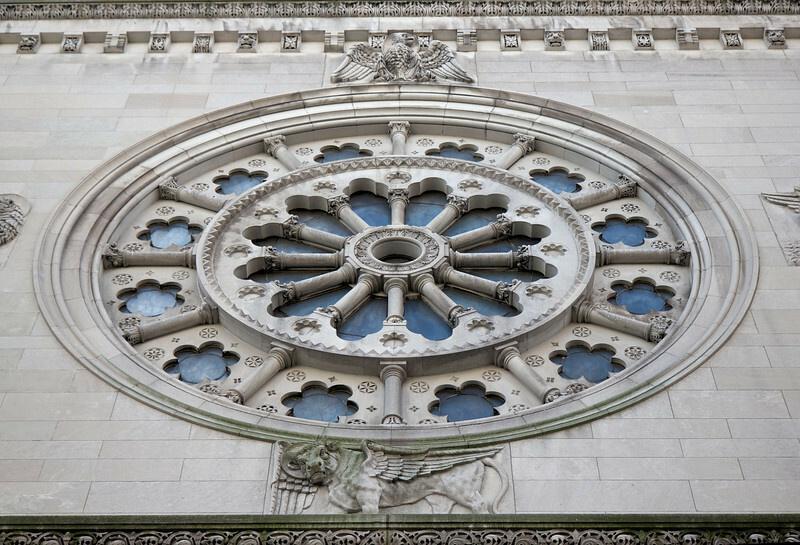 His most celebrated work is Saint Ignatius Loyola on Park Avenue and 86th Street. His firm had long-standing ties to leading German-American families and the Roman Catholic Church, principally building churches and complexes in German-American neighborhoods. See Wikipedia for more detail.